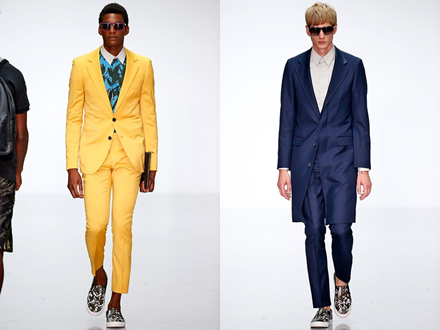 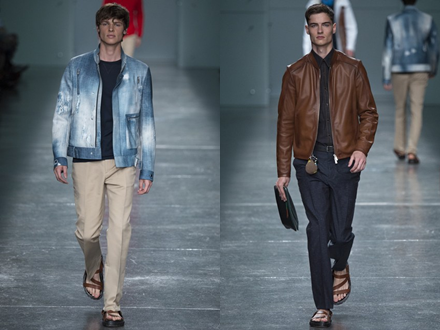 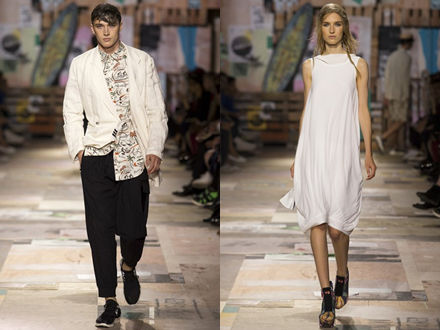 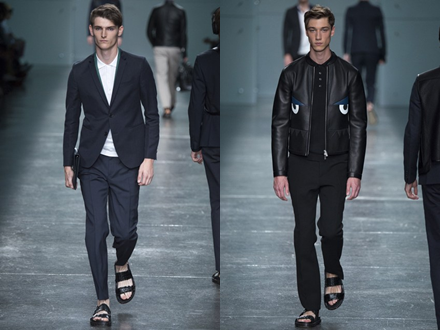 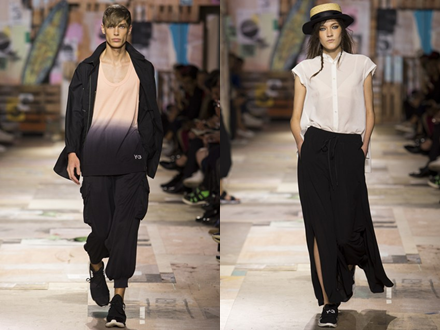 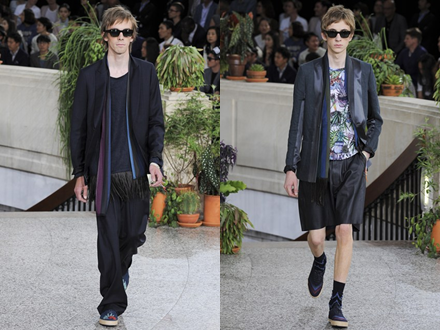 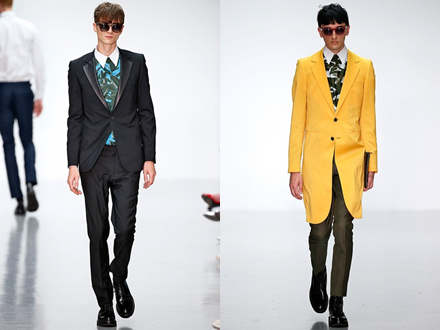 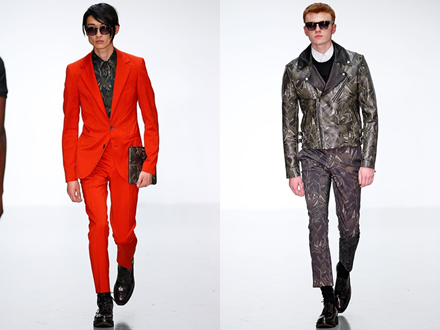 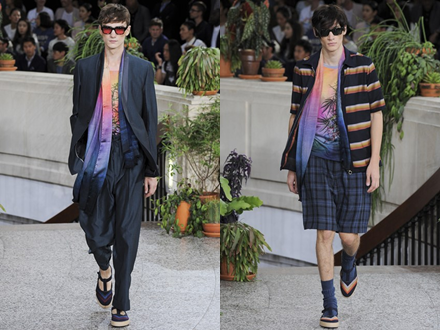 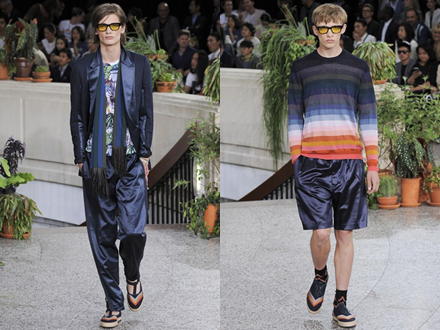 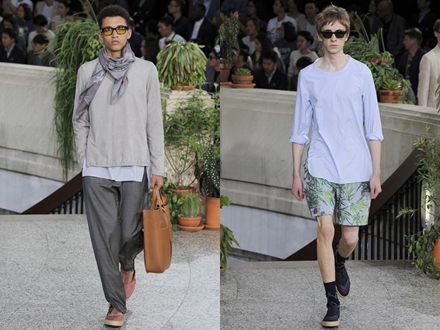 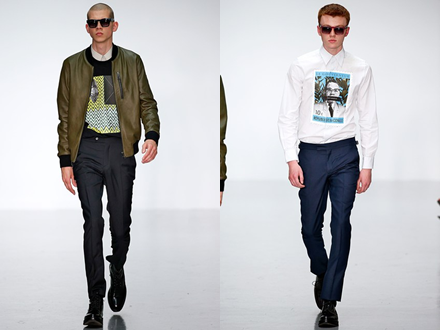 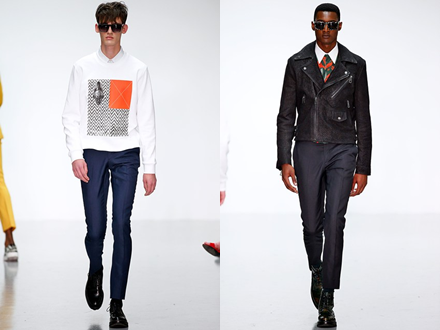 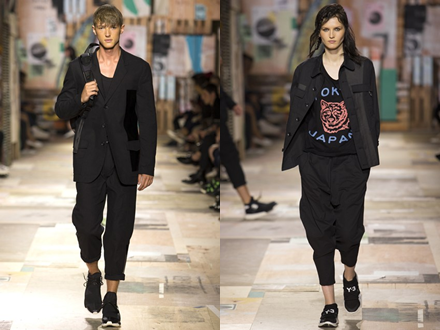 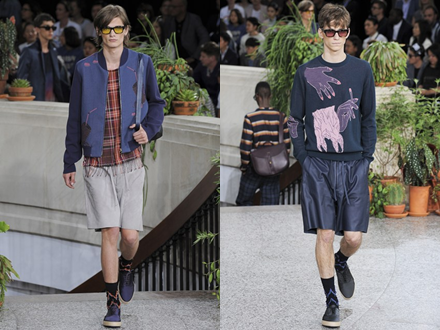 Paul Smith’s Spring/Summer 2015 collection has impressed me. 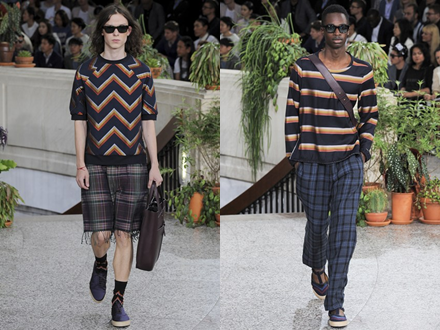 I’m not usually a huge fan of Paul Smith clothing, however I do like his accessories, but this collection is really beautiful! 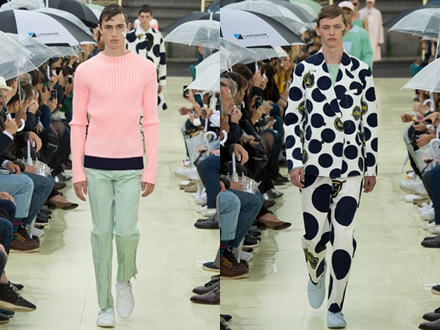 I love the versatility of the pieces in this collection, ranging from colourful, printed tops and knitwear, to simple, embroidered sweatshirts, silk trousers and tailored jackets. 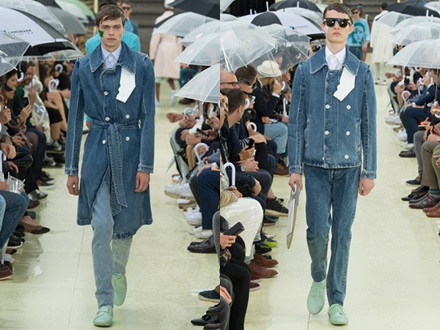 With the huge array of choice this collection offers, I’m sure both you and I would find it incredibly difficult to not find something we loved. 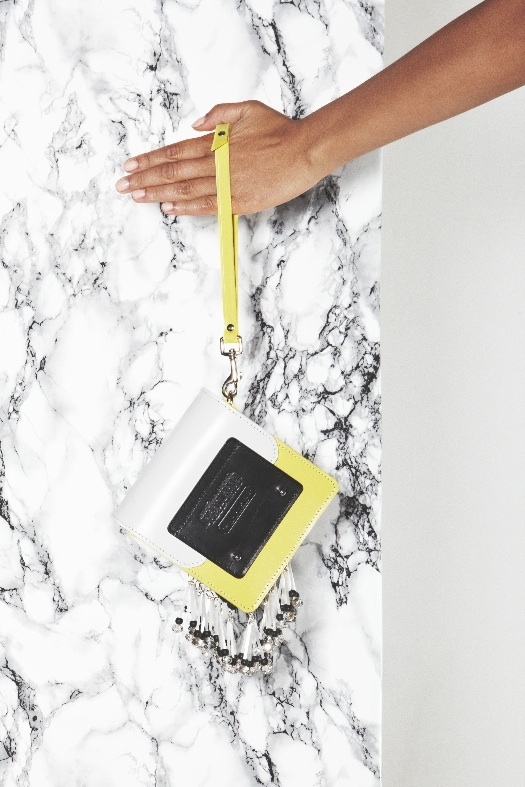 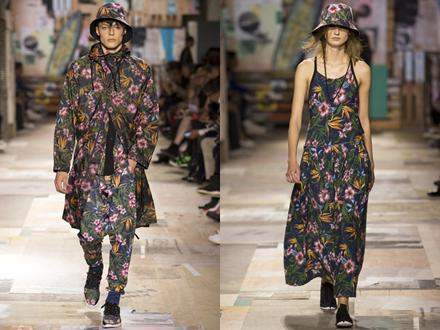 Marc by Marc Jacobs has gone crazy with its prints and strong colours for Spring/Summer 2015, and I just love it! 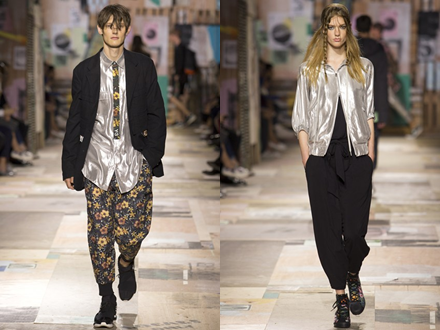 It’s all about patchwork as shirts, jackets, trousers and shorts are a little mad – in a good way! 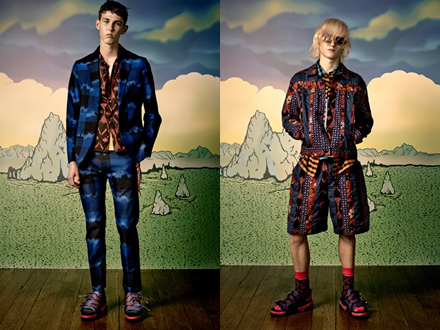 A vibrant, varied palette of black, blue, green, red, purple and pink lets us know that summer is here and, by the looks of it, it’s going to be a fun one! 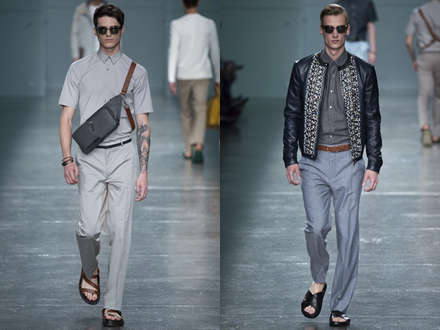 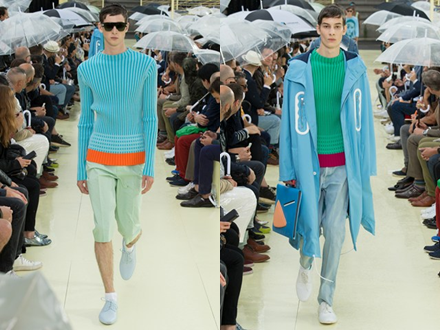 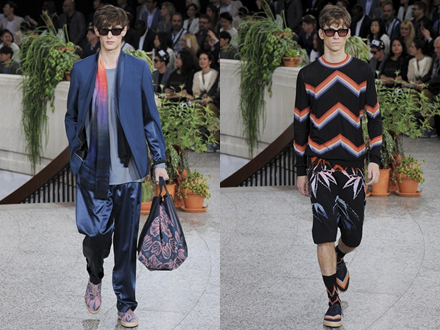 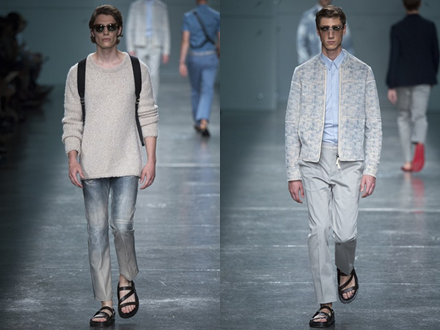 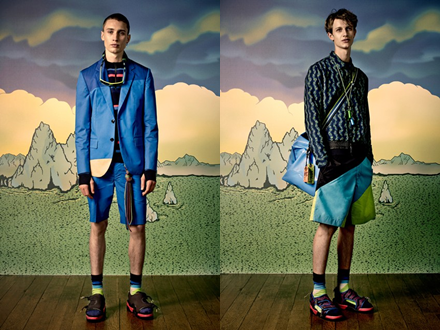 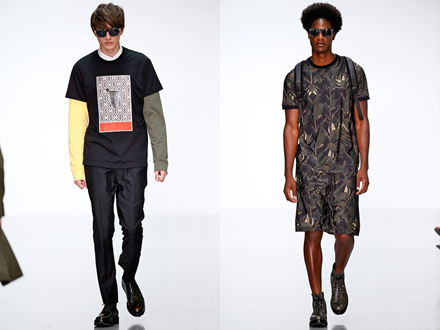 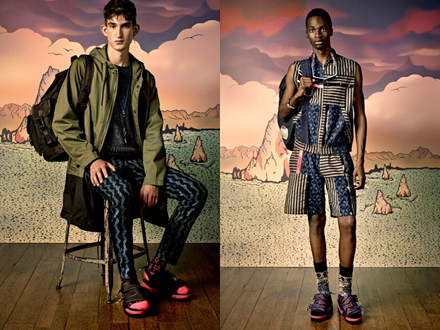 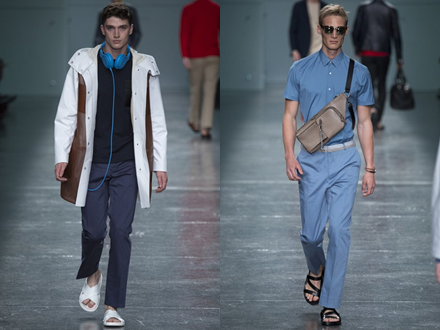 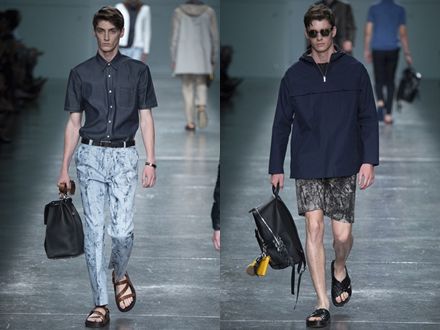 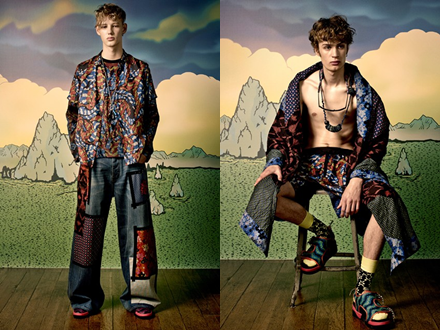 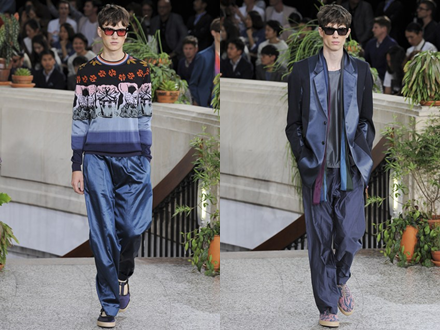 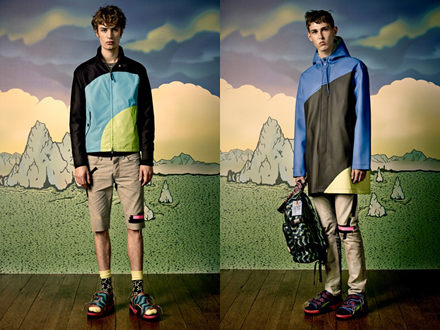 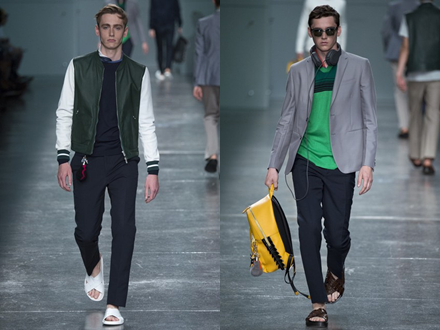 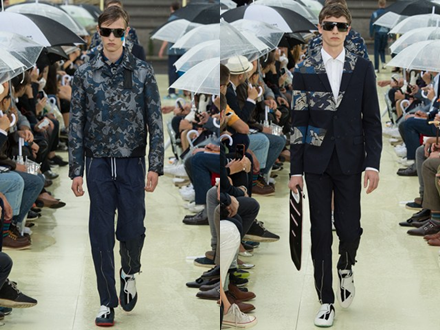 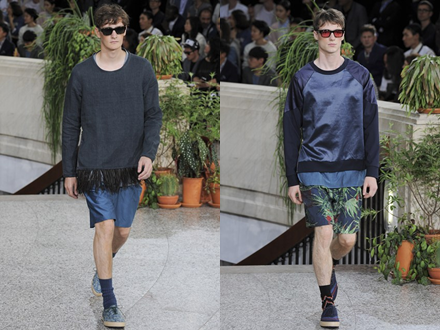 Full of pastel tones and patterns, Kenzo men’s Spring/Summer 2015 is as colourful as expected. 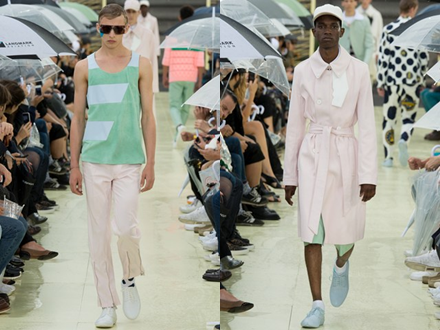 Quirky, striped coats, trousers and sweatshirts are shown alongside spotted suits, jackets and shorts, while soft pastel pink knitwear and pastel green and blue casual wear, including printed vests, fool you into thinking it could be a perfect summer after all, with beaming sunshine and countless days out at the beach. 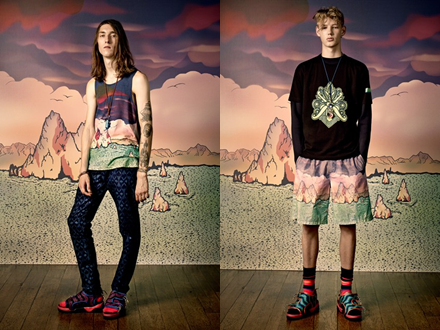 It may not be true, but it’s nice to dream, and these clothes are absolutely beautiful. 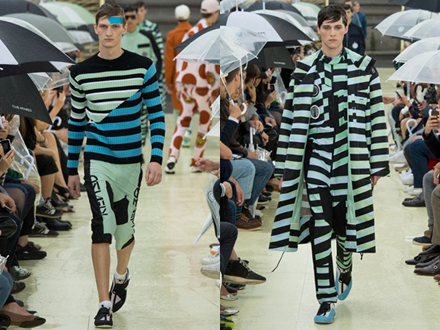 Kenzo never get it wrong! 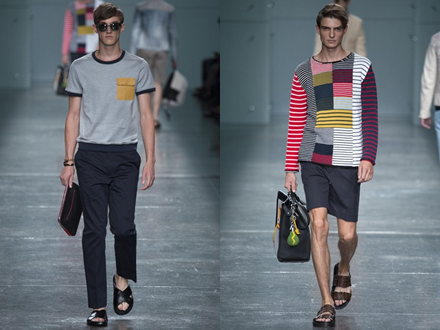 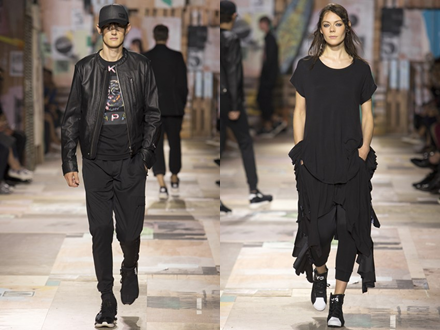 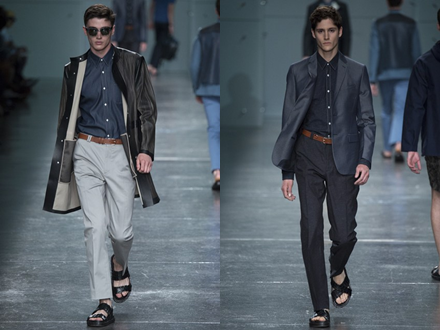 With shades of black, blue, grey and green dominating, Fendi’s Spring/Summer 2015 collection is a lot darker than I anticipated. 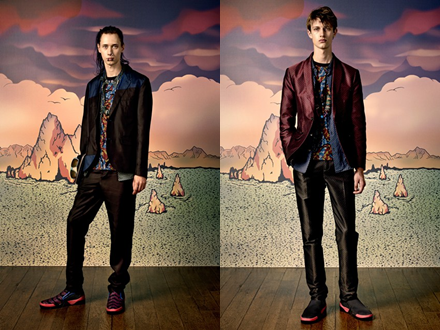 Although, being someone who admires a darker palette, I appreciate it all the same. 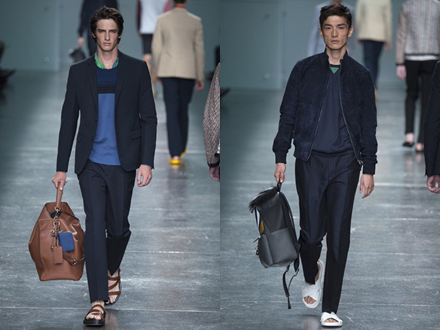 Soft blue tailored shirts and jackets sit alongside patchwork sweaters and t-shirts, and beautiful, albeit subtle leather bags pull the collection together effortlessly. 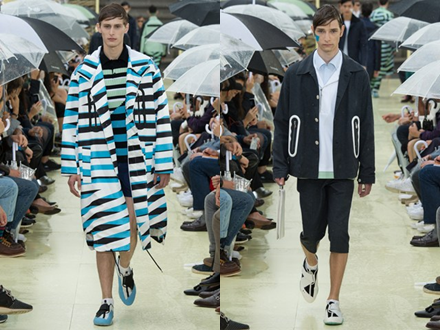 I didn’t expect there to be so much outerwear in this collection, but I can’t deny that I want every single snug-looking jacket or coat there is. 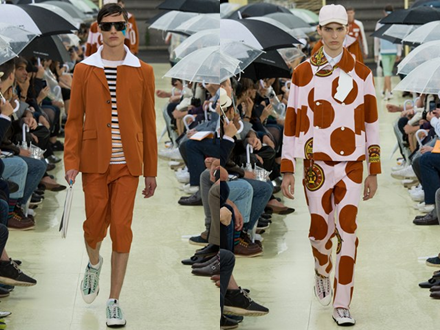 Does Fendi know something we don’t about what the great British weather has in store for us next year? 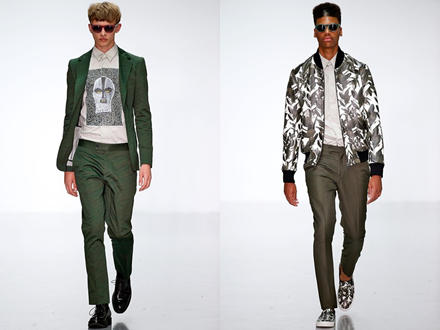 For Spring/Summer 2015, eye-catching prints sit alongside classic leather jackets and pristinely cut blazers, while printed shirts act as the perfect middle-man for a punch of versatility.